Daily Zohar # 1005 – How far can you shine? In the previous lesson we read a story in the Zohar about Rabbi Shimon and friends that came to Rabbi Kruspedai’s mother’s house. She prepared food and candles for them to study Torah. They realized that she had no knowledge that her son passed away in another place and they didn’t want to tell her and become the cause of her death that could come from such saddening news. She served them food and encouraged them to say words of Torah as it is important part of the meal. The study of Torah during the meal and before the blessing of the food transforms the physical food into spiritual energy. Since Torah study is a joyous act, it is not allowed in a place of mourning, unless it is about the soul. Rabbi Shimon opens the study about the first word of the Torah and reveals to us new aspects of it. The Zohar tells us the word בְּרֵאשִׁית, “In the Beginning”, is the aspect of the soul that was in the mother’s womb, which is Binah, before the creation of the worlds below. When the child is born, he is in darkness and without ability to see the world around him. Then the child opens his eyes and sees the light in this world. When the soul leaves the world, it is the aspect of the gathering of the water into one place, leaving behind dry land, which is a state of no life. When Rabbi Kruspedai’s mother heard the discussion about the soul, she understood that her son may not be alive. She told them that the candles she lit usually have brighter and wider range of colors of light, now they were dimmed. Rabbi Shimon and his friends left but the story continued. She went out, found a pigeon and bound her with sacred words from the story of the Flood and Noah’s pigeon to go and check if her son was alive or dead. The pigeon came back in the evening pulling her wings and making a dig like a grave. The mother saw that, screamed with pain and her soul left the world. 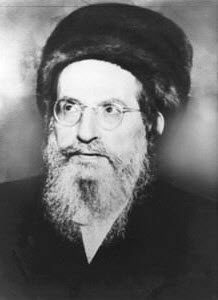 Rabbi Kruspedai was a high soul and a great righteous person that the light he revealed had no boundaries. His mother could tell about her son from the light of the candles she lit. The Zohar mentions in the portion of Shelach lecha that Rabbi Kruspedai was a great channel to the Sefirah of Yessod and he went up to read the Torah only for the Sixth reading (Yessod) of Shabbat . We are far from being righteous as Rabbi Kruspedai but we should remember that our souls have the ability to shine to farther distances that we can imagine. All our actions should be pure, even if they happen inside closed doors.